We take the privacy of our customers very seriously and we are committed to protecting your privacy online. This statement explains the privacy and the data protection practices which apply to this web site. 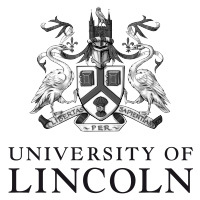 Lincoln Conservation is part of the University of Lincoln. The University of Lincoln collects personal information about you when you use our website, complete our contact form, or contact us. We use this information to monitor and improve our web site service, as well as responding to your enquiry and for our marketing activities. This notice explains more about how we use your personal information. We will also keep a record of any financial transaction you make with us, but we do not directly collect, process or store your debit or credit card information. In addition we may automatically collect information such as IP address (the location of the computer on the internet), pages accessed and files downloaded. This helps us to determine how many individuals use our site, how many people visit on a regular basis, which pages are most popular, and which pages are least popular. This information doesn’t tell us anything about who you are or where you live, it simply allows us to monitor and improve our web site service. Keep your details up to date by contacting info@lincolnconservation.co.uk or telephoning 01522 835350. We will only use your information in connection with specific activities, such as request for information, supplying feedback and quotations etc. The legal basis for processing this information is contract related matters. If you have given consent that Lincoln Conservation can contact you with information about our events, training courses, and news about our work we will send you communications about these activities. You will have the opportunity to unsubscribe from our email mailing list by clicking on the link in the email. The legal basis for processing this information is consent. None of the information you provide will be sent abroad. We shall not keep your data for longer than is necessary for that purpose or purposes. We will keep records of payments made for six years after the year in which your account is settled, under the Limitation Act 1980. If you consent to join our mailing list we will keep you on this until you withdraw. If you object to our use of your personal information then we must stop unless we can demonstrate compelling legitimate grounds for continuing. Please contact info@lincolnconservation.co.uk and explain your objection. If you have provided your consent for the use of your personal information then you can withdraw this consent at any time. Please contact us at info@lincolnconservation.co.uk or phone us on 01522 835055. You can also unsubscribe from our emails following the link on the email.